A wonderful chance to hear Ben Sheen, Associate Organist at Saint Thomas Church in New York City, play on the Swiss Church in London’s Späth Organ. Ben is one of the UK’s brightest young organists. 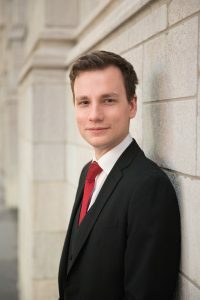 Hailed as ‘brilliant’ by the New York Times, he is the 2013 winner of the Pierre S. du Pont First Prize in the inaugural Longwood Gardens Organ Competition and received Second Prize and the Jon Laukvik prize at the St. Alban’s International Organ Competition 2013. Ben began his musical career as a chorister for six years at St. Paul’s Cathedral in London, under the direction of John Scott, during which time he gained a music scholarship to Eton College. He holds degrees from the University of Oxford and the Juilliard School and is also a prize-winning Fellow of the Royal College of Organists and the 2011 recipient of the Silver Medal from the Worshipful Company of Musicians. As a concert organist, he has performed throughout Europe, the USA and Australia and also, recently, in Hong Kong and Singapore. He has performed with notable orchestras including the Royal Philharmonic Orchestra and the City of London Sinfonia and appeared on BBC radio and television several times. Recent highlights have included several complete performances of J. S. Bach’s Clavierübung III, including live on New York’s classical radio station WQXR in November 2014. Recital engagements in 2018 have included performances across the United States as well as further afield in the UK, Australia and New Zealand. In the summer of 2018, Ben embarked on his first solo tour of South Africa, and appeared as a featured performer at the AGO National Convention in Kansas City, Missouri (USA). Entrance free. Retiring collection. All donations fund the Organ Concert series at the Swiss Church in London.